SYDNEY: Former Australian captain Steve Smith will undergo surgery for an elbow injury, Cricket Australia said Saturday, in a move likely to have implications for his return to the international game with less than three months left on his ball-tampering ban. Smith is currently serving a one-year ban from international cricket, Australia´s domestic Sheffield Shield and Big Bash leagues over a ball-tampering scandal during a Test match in South Africa last March. 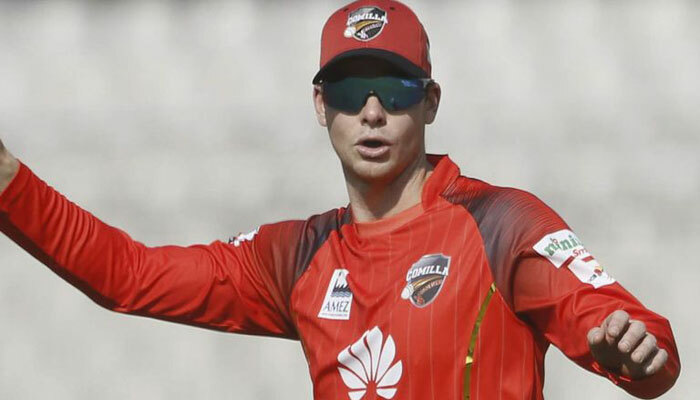 He was forced to drop out of the Bangladesh Premier League Twenty20 tournament this week after playing only two matches due to the injury and is set to go under the knife on Tuesday to repair a ligament in his right elbow. Following the surgery the 29-year-old right-hander is expected to spend six weeks in a brace and then undergo extensive rehabilitation. A Cricket Australia spokesperson said Saturday that Smith´s return to playing will be made clearer once the brace is removed. The injury is a major blow to Smith, whose 12-month ban ends on March 28. It is also expected to affect his chances of being picked in the national side for the World Cup as well as the Ashes series in England later this year. Test skipper Tim Paine this month urged Australia´s public to give Smith and his deputy David Warner, who is also banned, a second chance, saying he hoped "they´re welcomed back" into the national team, where their absence has left a big void.